Brass O Ring Pick Heavy Duty Set. 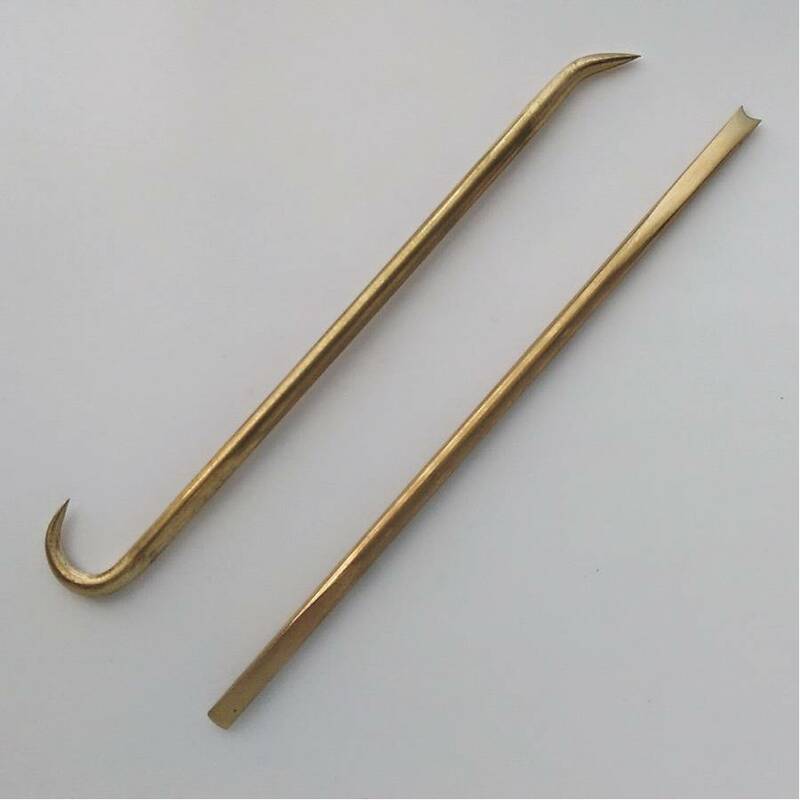 A two piece Brass tool set for the installation and removal of O-rings from their housings. Also known as O-ring picks, this two piece set will help save time for both the removal and installation of O-rings. Particularly useful when the O-ring gland is in a difficult to reach position. One tool is ideal for removing O-rings (hooked), whilst the other (straight) is used for installation. The hooked pick is approximately 141mm long, whilst the straight tool is approximately 149mm long. Manufactured from Brass, which is softer than steel, using these tools will minimise damage to valve parts when compared to steel picks. Each set comes packed in a PVC pouch.